School is once again in full swing. 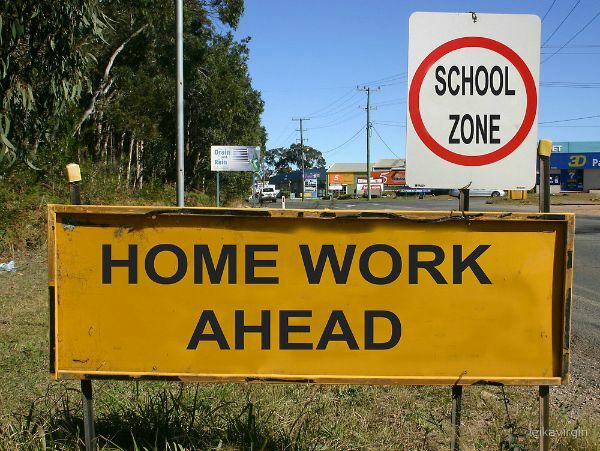 As always, we are here to help when it comes to homework and project assignments. HelpNow from Brainfuse provides live online tutoring in core subjects for all grade levels from 2 pm to 11pm daily. Need to have an essay or other written work proofread, or get suggestions about how to improve it? Submit it to the HelpNow Writing Lab. Stumped deciding on a topic for your project? 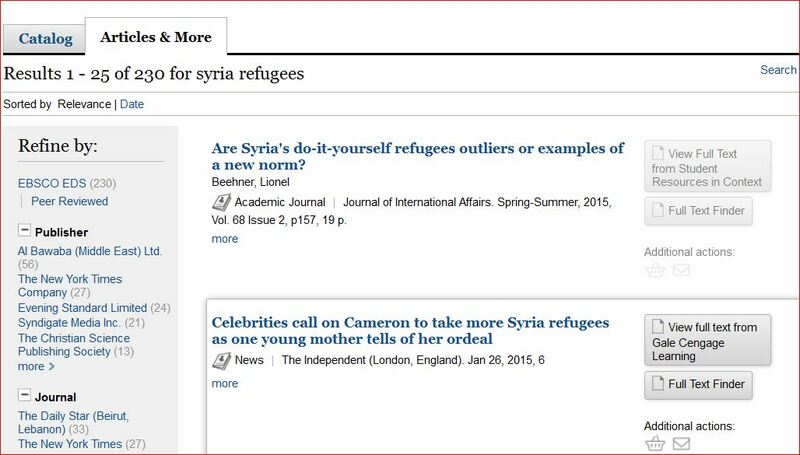 Both SIRS Researcher and America’s News offer topic suggestions and have the full-text sources you need to explore them. On our Research page, you can click on the Databases for Kids link to see a list of subscription databases arranged by grade level. In the past, when you wanted to dig into the material available through our subscription databases, you had to go to our Research page and select a database you thought would be a likely source of in-depth information on your topic. You can still do that, but now there is an alternative that pulls information from multiple databases at once. This can be especially helpful if you are researching a very specific topic. Just enter your topic in our catalog’s search box. Any books, DVDs, etc. we own on the topic will appear. Then, to go deeper, choose the Articles & More tab. Here’s an example: Don’t hesitate to visit our adult and children’s Reference Desks to let us know how we can help make this the best school year ever! September 14, 2015 in The Scoop.